Receive a quote on a VA loan today. Buy the Home You Deserve with VA Financing! 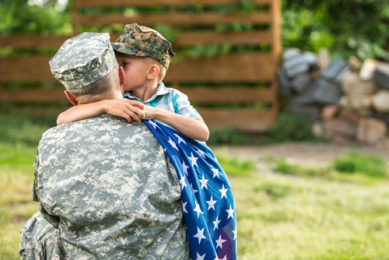 We're here to make the VA home loan process easier, with tools and knowledge that will help guide you along the way, starting with our VA Loan Qualifier. *A down payment is required if the borrower does not have full VA Entitlement, or if the loan amount is greater than $484,350. VA loans subject to individual VA Entitlement amounts and eligibility, qualifying factors such as income and credit standards, and property limits. Fairway is not affiliated with any government agencies. These materials are not from VA, HUD or FHA, and were not approved by VA, HUD or FHA, or any other government agency. Get Your VA Loan Quote Now! I Want My VA Loan Quote!